Kabul was not built for such numbers. In the 60s and 70s I drove my Land Rover to work in central Kabul with no qualms, often with my handsome tazi dog loping beside side the car for exercise. The crisp mountain air was energizing. No more. Owning a car is no longer a luxury. Rush hour traffic jams are so forbidding I dare not venture out behind the wheel any more, and, fleets of belching buses and badly serviced cars pollute the atmosphere. Kabul was oh so social in many ways. There were, of course, the usual rounds of diplomatic receptions where one met the elite – the “beautiful people,” of Kabul – with their equally urbane and stylish wives whose presence was officially required so that Afghanistan would present a “modern face” to the world. However, fraternizing outside official functions was for long seriously frowned upon. As foreigners, we were tightly observed, as Louis found out in jail in 1978 when his interrogator kept asking: So-and-so was at your house on such and such a date and was seen talking to so-and-so. What were they talking about? Still, despite such shadows, life was exciting. Progress was so visible that Afghans dared to envision a future with high expectations. So much seemed possible. New roads were rapidly being built so rural Afghans were moving about, choosing turban caps, for instance, according to their designs and color, not only as a token of their place of origin. In the cities, women shed their veils and emerged from seclusion with confidence. The national airline, Ariana, flew the world. Foreign investors brought new industries as an expression of their confidence that Afghanistan was moving in positive directions. Along Shahr-i-Nao’s main shopping street, lined for decades with one and two-story, single-room shops, numbers of merchants discarded their wooden shutters for gleaming plate glass doors and picture windows. A new supermarket offered sanitarily wrapped meats and vegetables. Above these stores pleasing apartments were for rent. Young couples, tired of the constrictions of extended family living, branched out on their own. And, since the huge blocks of Soviet style urban renewal apartments being built in Microyan did not please the families from the old city for whom they were intended, they were snapped up instead by Kabul’s young elites whose mobility was thereby enhanced. Mixed company dining and dancing in elegant nightclubs enlivened things. Social circles widened, paving the way to the vibrant civil society that exists today. The intellectual environment became even more stimulating as Afghanistan opened its doors to scholars of every imaginable sort and nationality – archaeologists, anthropologists, linguists, musicologists, horticulturists, wild life specialists, historians, political scientists, and more. They lived in the countryside, travelled widely conducting research and introducing Afghan colleagues to the fascinations of research. Gatherings in Kabul burst with inspiring dialogues. No more. The word security was seldom heard. We thought nothing of taking off alone for remote areas to search for prehistoric sites. No armored cars, no bullet-proof vests, no radios, no security vehicles ahead and behind. I rode mornings, alone, on my spirited Kataghani horse across the beautiful meadows of Wazirabad. No more. The meadows are now crossed with broad traffic-filled avenues and filled with a sea of cement housing. Most foreigners, even some Afghans, live locked down behind ugly forbidding 4-meter high concrete walls arrogantly occupying half the public road space. A siege mentality prevails that robs them of enjoying the glorious countryside and its people. Much negative change is evident, – except for the warmth and spirit of the Afghans which is alive and well as lovingly remembered. This text was first published in Afghanistan Info (No. 80 / April 2017) – a “newsletter” printed in French, English, and German in Switzerland from 1980 to 2017. We are grateful to Micheline Centlivres-Demont who during all these years served as the editor-in-chief of this important and well informed source of knowledge on Afghanistan and to Nancy Hatch Dupree for the permission to reprint this text (and use the images from the Dupree-collection) on tethys. 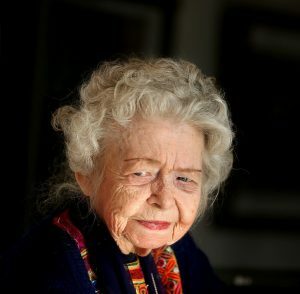 See an AAN-article on Nancy Hatch Dupree and her last project, the uploading of thousands of historical photographs to the website of the Afghanistan Centre at the Kabul University (ACKU), the successor institution of the ACBAR Resource and Information Centre (ARIC) founded by her in 1989 in Peshawar. See also “Afghanistan: Identity, Society and Politics since 1980” for a fascinating collection of 74 articles that were originally published in Afghanistan Info from 1982-2013 or read a review by Jamil Hanifi.